The Lone Beader’s New Year Sale on Etsy! 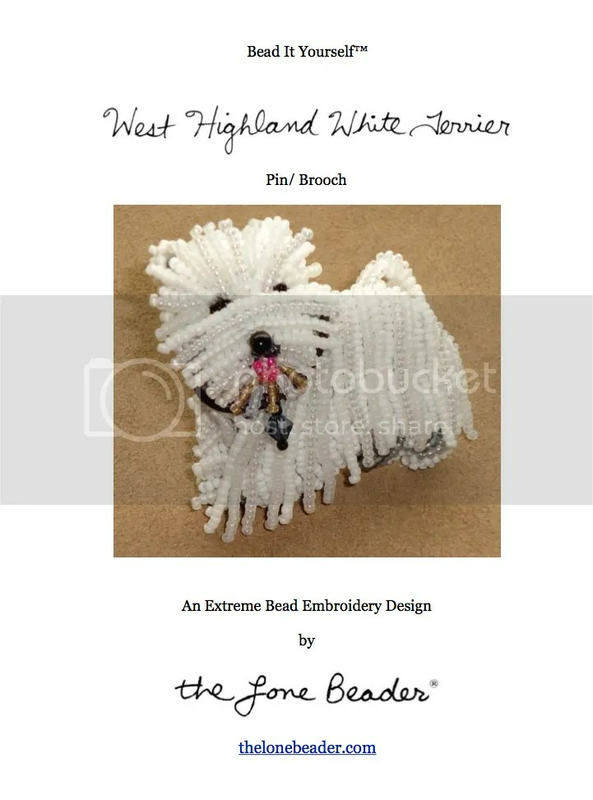 Today, I am pleased to announce that my Westie bead embroidery pattern is now available for sale on Amazon for Kindle. Please click the photo below for more details or click HERE to view all items available on Amazon. Yorkie Beading Pattern Now Available en Español + New Cat! Dear friends, Happy Halloween! 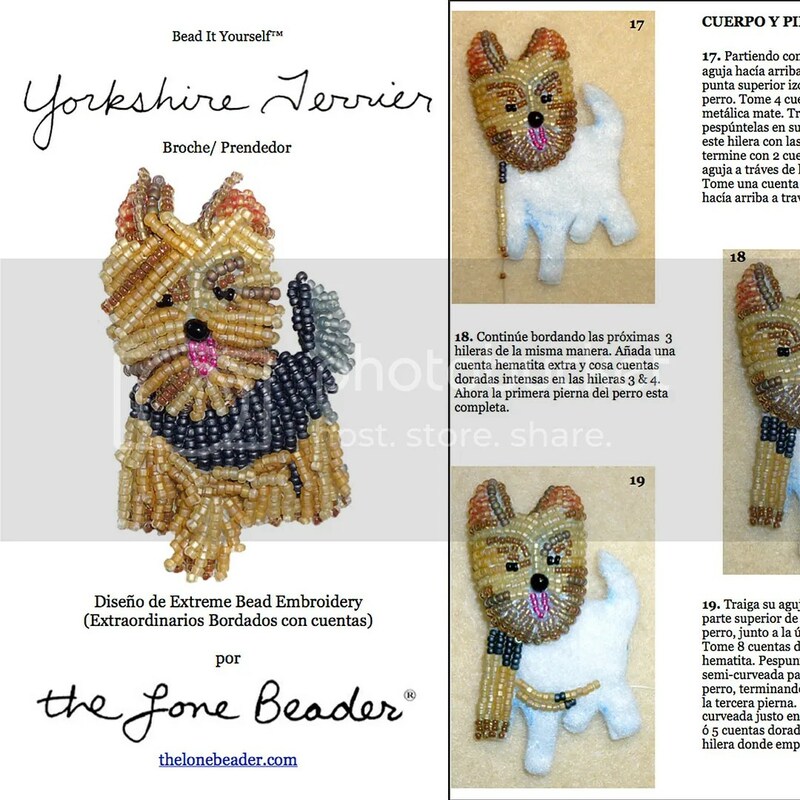 I am pleased to announce that my Yorkshire Terrier beading pattern is now available in Spanish language! Please click the photo below to download on Etsy. Patrón en español! ¡Crea un hermoso broche o pendiente bordado de un Yorkshire Terrier! Atención: este no es un kit de bordado, tampoco un molde de cuenta por cuenta. Es un tutorial fotográfico que explica paso a paso el proceso para que usted pueda crear sus propias piezas. Aprenda cómo realizar este broche de perro bordado para usted mismo o para ese amigo que ama a los perros Yorkies 🙂 Visite por favor mi tienda de Etsy para más detalles. 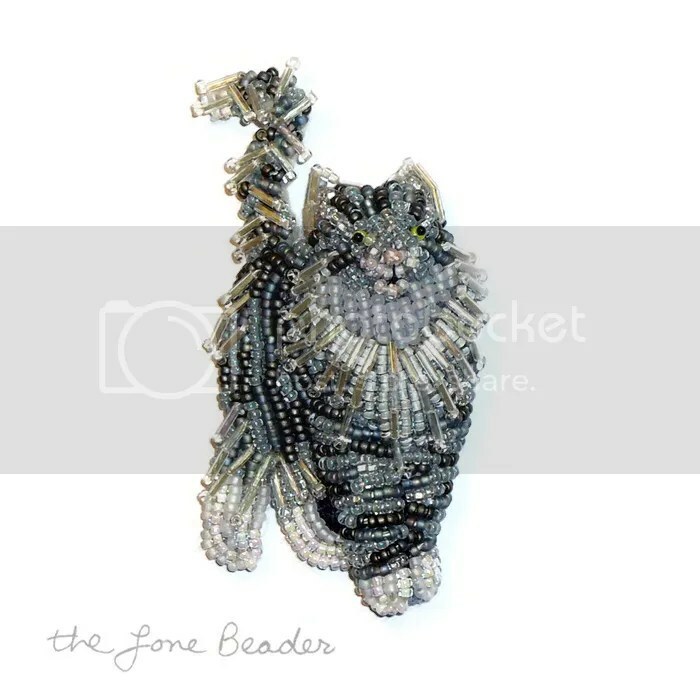 Also, check out my latest custom order – a beaded Norwegian Forest Cat pin. This keepsake pendant was created by stitching several shades of size 15 seed beads to felt 2-3 at a time. Then, I layered tiny 1x4mm Czech glass maco tube beads to create realism. I also used a tiny freshwater pearl for the nose. Below you can see how this pin looks when worn as a pendant! 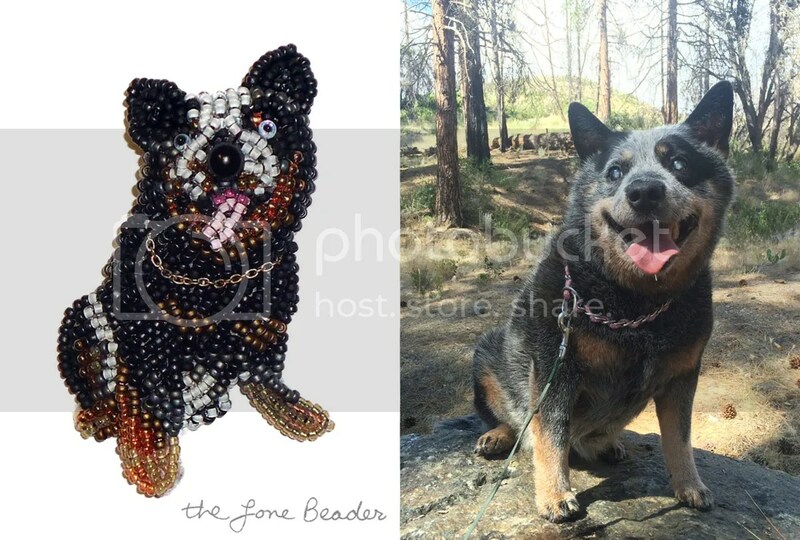 Also, this week, I finished a new custom order – a beaded Australian Cattle Dog pin pendant! My customer emailed me a photo which I used to create a template. I then cut out a felt foundation which I used to stitch seed beads to.. I used Japanese size 15 seed beads for the entire piece except the eyes. For those, I used size 11 seed beads and tiny 1mm glass doll eyes. 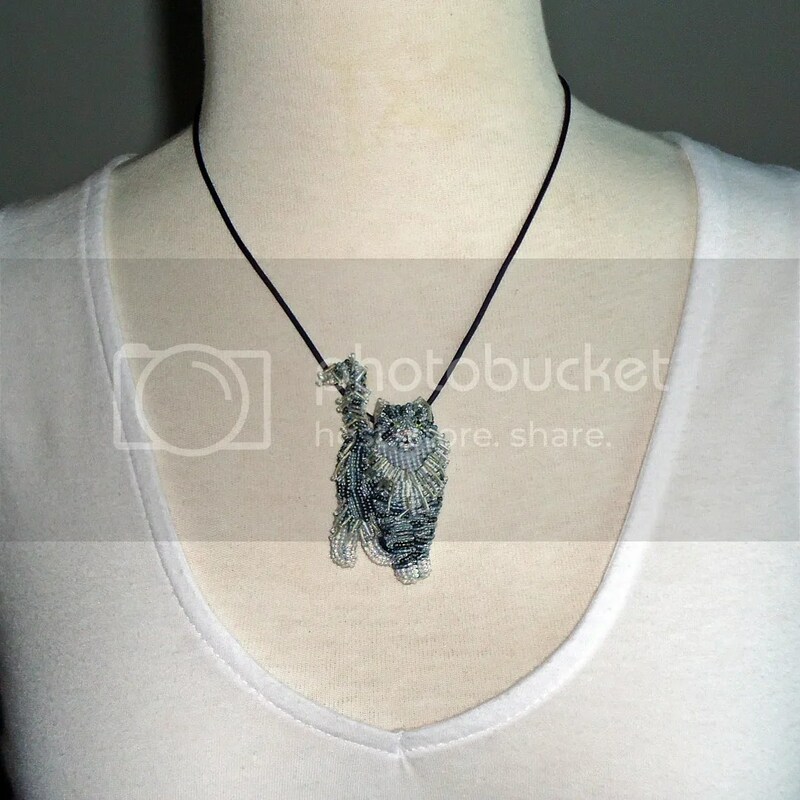 To finish the piece, I added a thin sterling silver chain for the collar. Do you like it? This Australian Cattle Dog design will not be available for sale in my shop, however, I would be more than happy to create a custom beaded pin, pendant, or framed portrait of your pet based on one of your favorite photos! These items make great holiday gifts; they are cherished keepsakes which will be treasured for many years to come. Please visit my Etsy shop for more details regarding custom orders. Thank you for your interest! Tutorial de Introducción a Básico Bordados con Cuentas – en Español! Busque más diseños de bordado del grano en el futuro! 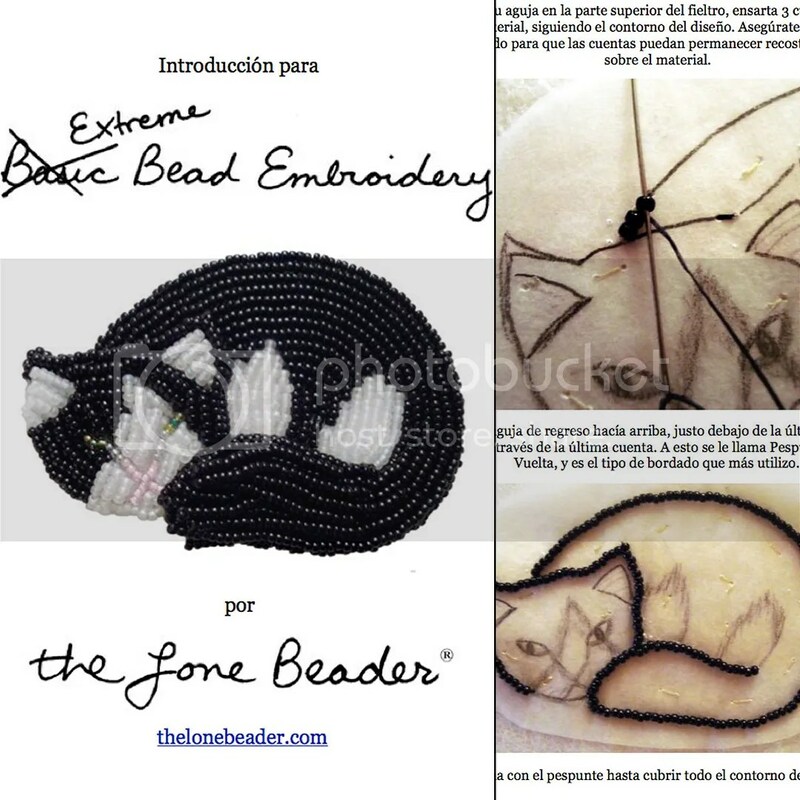 Gracias por visitar la tienda y galería de The Lone Beader en Etsy! 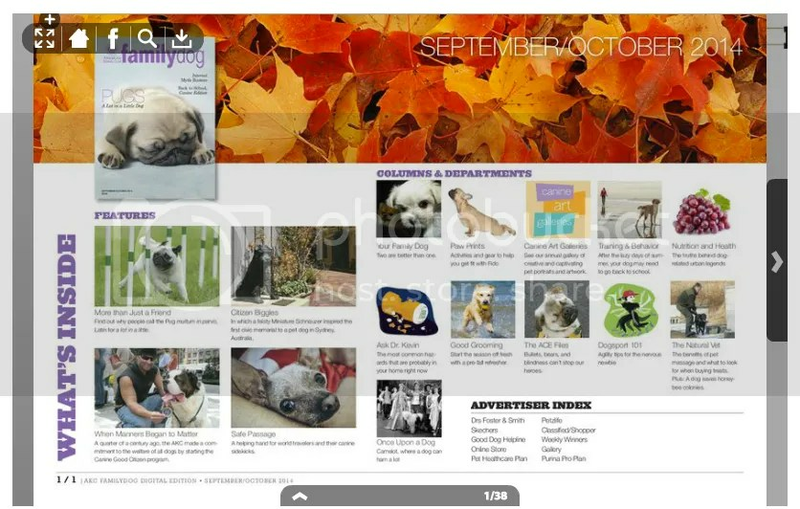 Featured in AKC Family Dog Magazine! 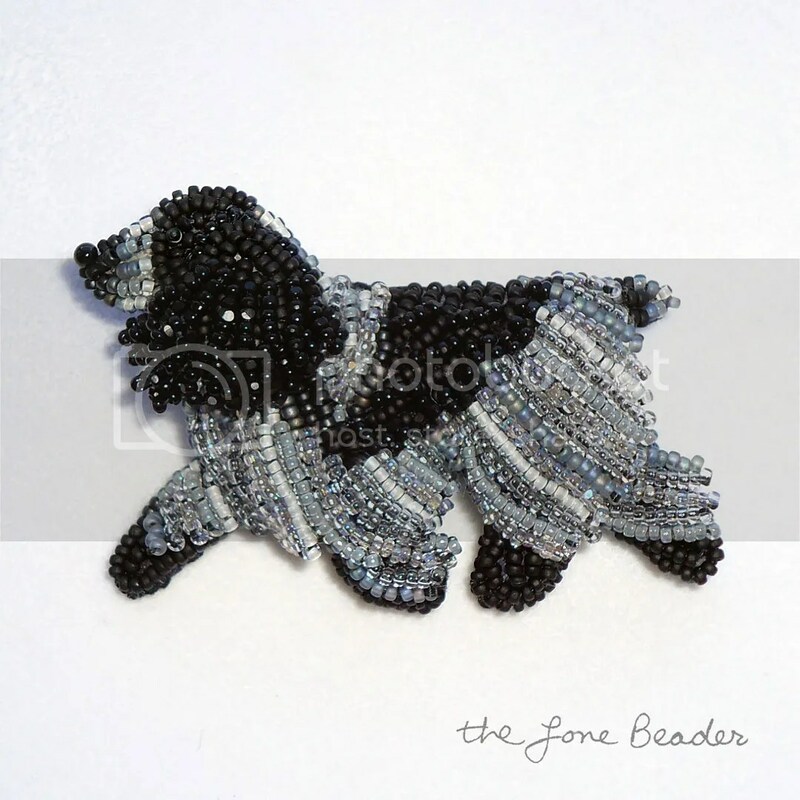 Also, check out my latest custom order – a beaded Blue Roan English Cocker Spaniel pin. This piece was created by stitching tiny glass beads to felt. Tiny beaded fringe was layered to make the dog’s ears & body look dimensional. Beaded fringe actually moves when you touch it. This design can be customized to look like your English Cocker Spaniel! 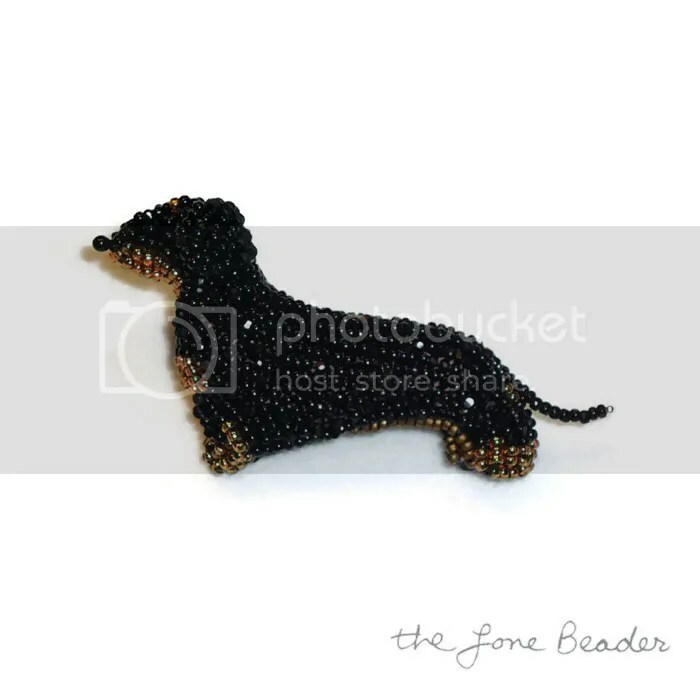 Dear friends, this week I received a new delivery of seed beads, so I put together ‘Beads Only’ packages for use with my Yorkshire Terrier beading pattern. 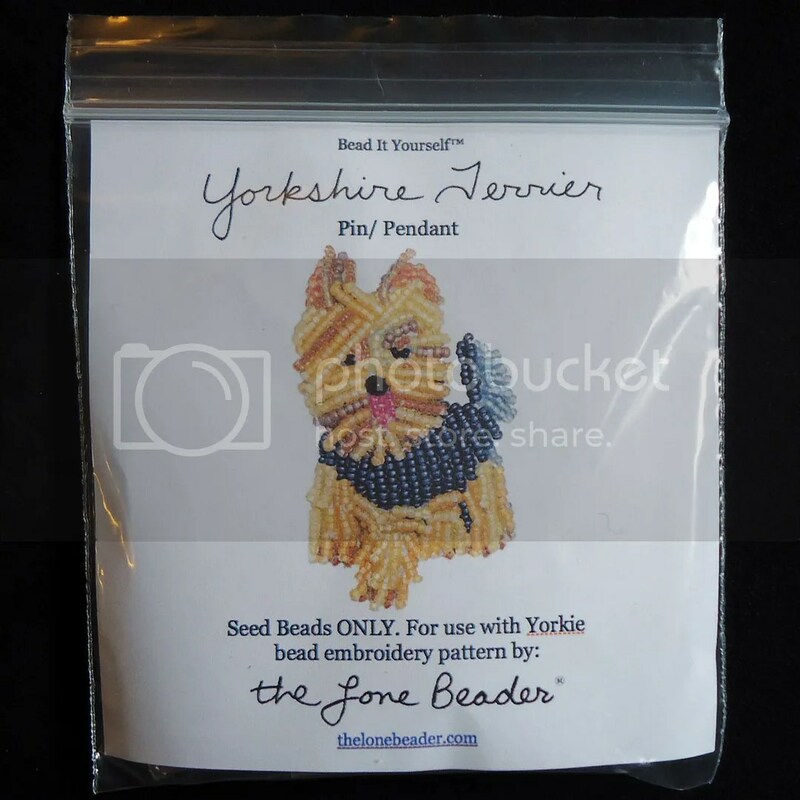 Each package contains all 10 colors of Japanese size 15 seed beads needed to complete a beaded Yorkie pin or pendant. Please view this Etsy listing to order. 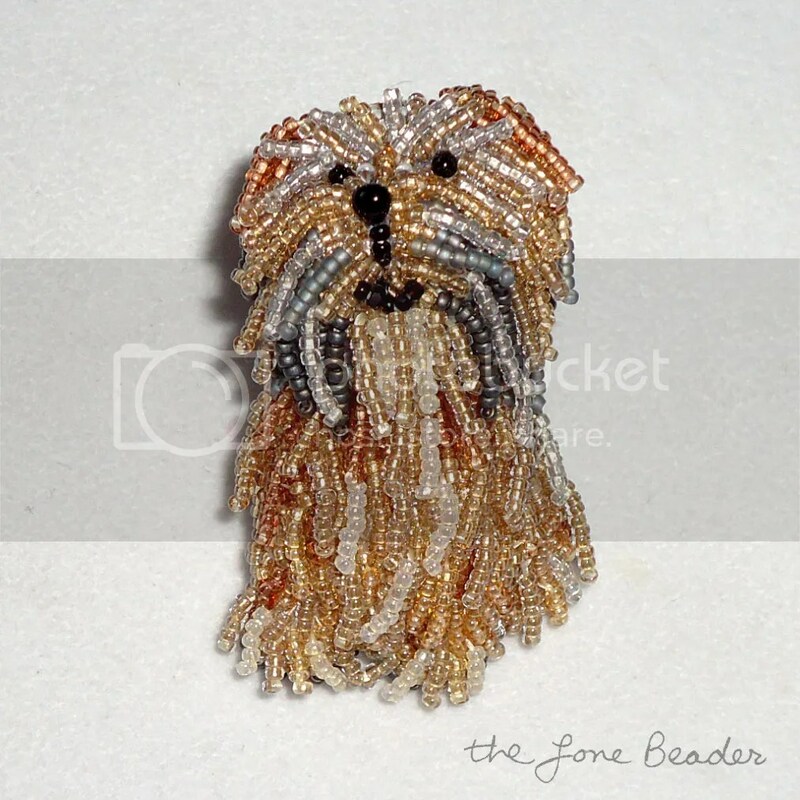 Also this week, I finished making a custom beaded Tibetan Terrier pin pendant. This piece is a one-of a-kind work of art! You can view progress photos of this piece on my Facebook page. 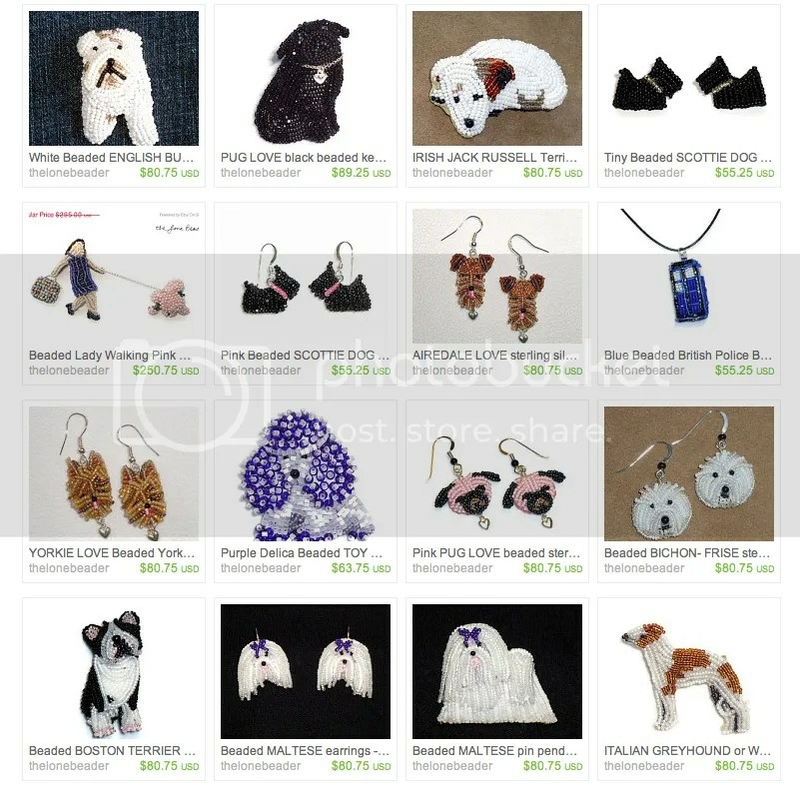 If you are interested in a custom beaded pet pin or pendant, please contact me through my website or my Etsy shop.